Digital sensor for measuring dissolved oxygenSensor with long-term stability for frequent sterilization and autoclaving. with 3 membrane caps, O-Ring sensor, O-Ring process and Pipette. 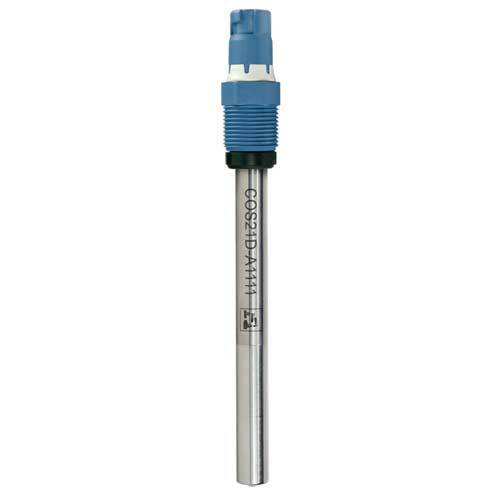 For standard and trace sensors in all application with CIP. with 3 membrane caps, O-Ring sensor, O-Ring process and Pipette. For standard and trace sensors in all application with FDA requirements. The Oxymax COS22D safeguards your products, process and plant equipment from oxygen influences. It's reliable and stable measurement helps you to better monitor and control your applications.